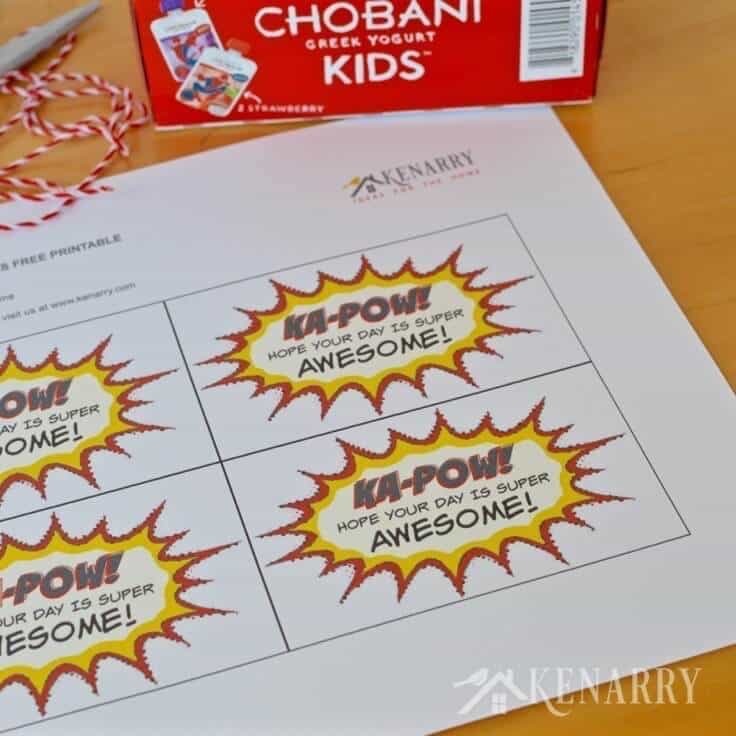 Your child will be excited to discover these free printable Superhero Lunch Box Notes attached to Chobani Kids® Greek Yogurt Pouches at school lunch time. My oldest son just started kindergarten last month. I can hardly believe he’s old enough to be in school four days a week, let alone apart from me all day too. I teared up every day for those first two weeks when he got on the bus. It seems like only yesterday I was dropping him off at 3-School for the first time. The transition from three half days of preschool last year to four full days this year is huge, especially when he has to catch the bus at the same time he was used to getting up in the morning. If you’re like me, two of your primary concerns with transitioning your kiddos back to school are making sure your child feels supported, encouraged and loved even when apart from you and making sure they have the energy and nutrition to get through an entire day of school. Greek yogurt is a great way to pack a little extra protein into your child’s day, but I was hesitant to send it to school with my five year old son because even though he knows how to eat with a spoon, he somehow manages to get it all over his face and hands. I was absolutely thrilled when Chobani came out with Chobani Kids® Greek Yogurt Pouches. Problem solved! All I had to do was create a little love note to attach to the Chobani Kids® Greek Yogurt Pouches to create a delicious, nutritious lunch without all the mess. Thankfully, there are no preservatives, artificial colors or flavors in Chobani Kids® Greek Yogurt Pouches. They’re made with only real fruits and vegetables. Plus they contain less than 5% lactose, are gluten-free, and have live and active cultures and probiotics. With 25% less sugar and two times the protein compared to the the leading kid’s yogurt, the Chobani Kids® Greek Yogurt Pouches are also a good source of protein and calcium. You can get Chobani Kids® Greek Yogurt Pouches in Strawberry, Grape or Vanilla and Chocolate Dust. Plus the packaging features Spider-Man (or Doc McStuffins if you have a daughter! ), which made this a total WIN for my son’s school lunch! Be sure to check out their website for Chobani Kids Savings, videos and free Spider-Man coloring pages too. Every kid needs a little reminder now and again of how much their mother or father love them. 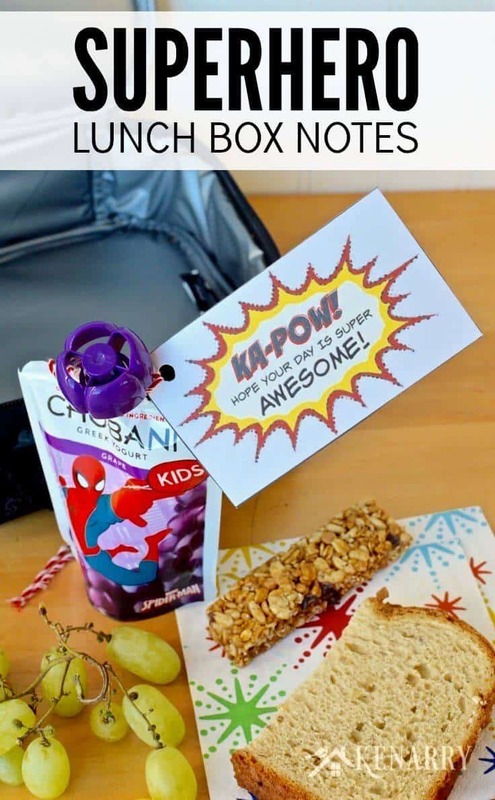 These Superhero Lunch Box Notes are a fun surprise for your children to discover in their lunch box at school. 1. 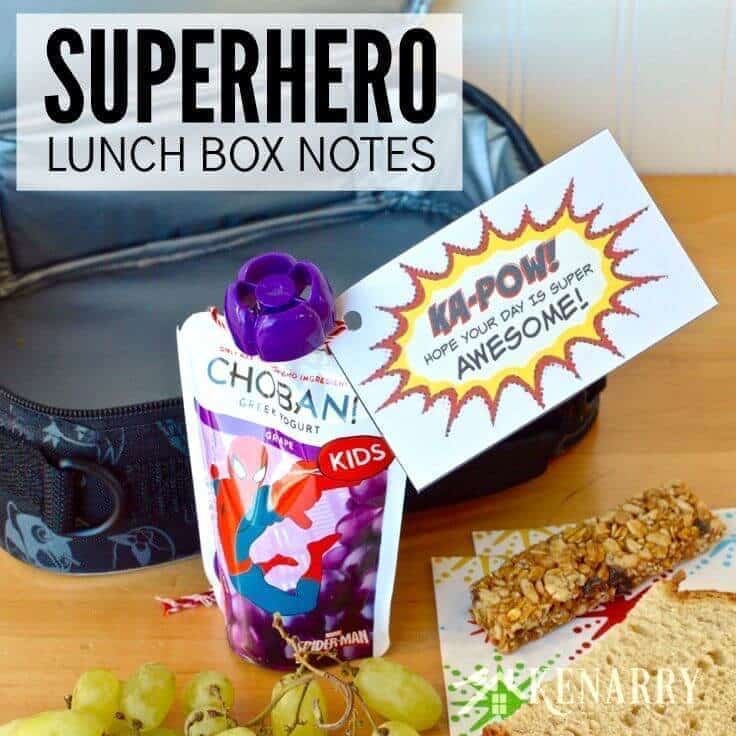 Get the Superhero Lunch Box Notes. 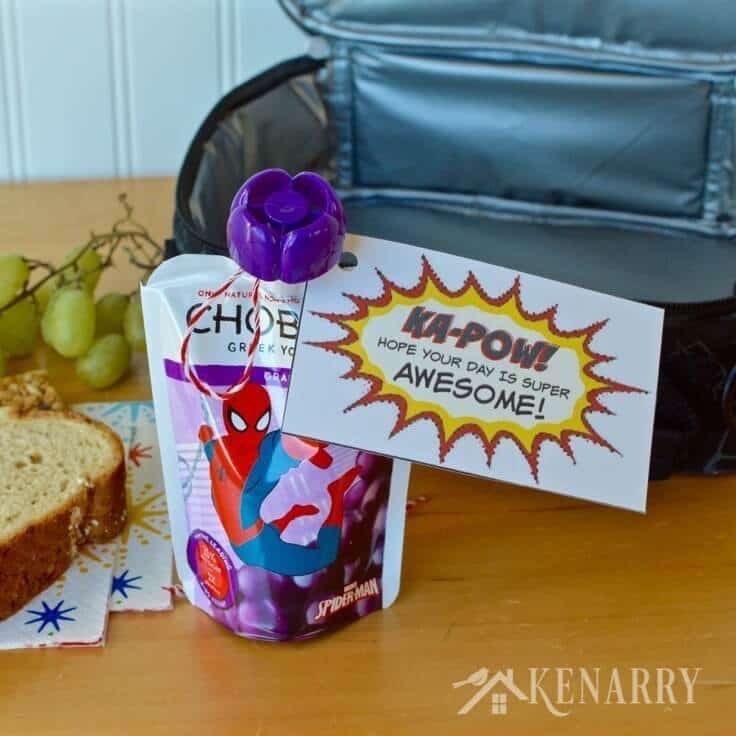 The printable Superhero Lunch Box Notes are available as a FREE gift when you sign up below! Then you just need to download the PDF file and save it to your computer. 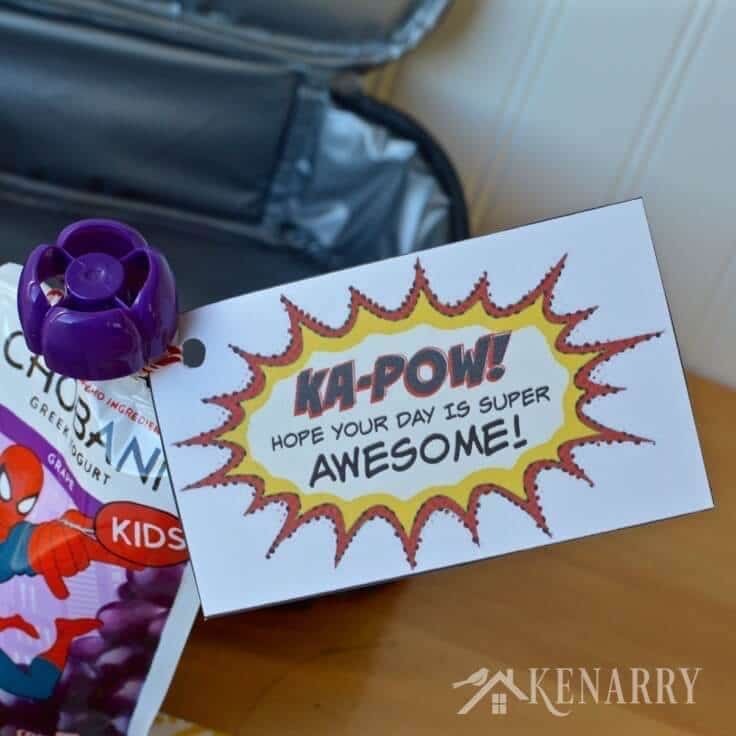 The Superhero Lunch Box Notes and all other free printables from Ideas for the Home by Kenarry™ are for your own PERSONAL USE ONLY. 2. 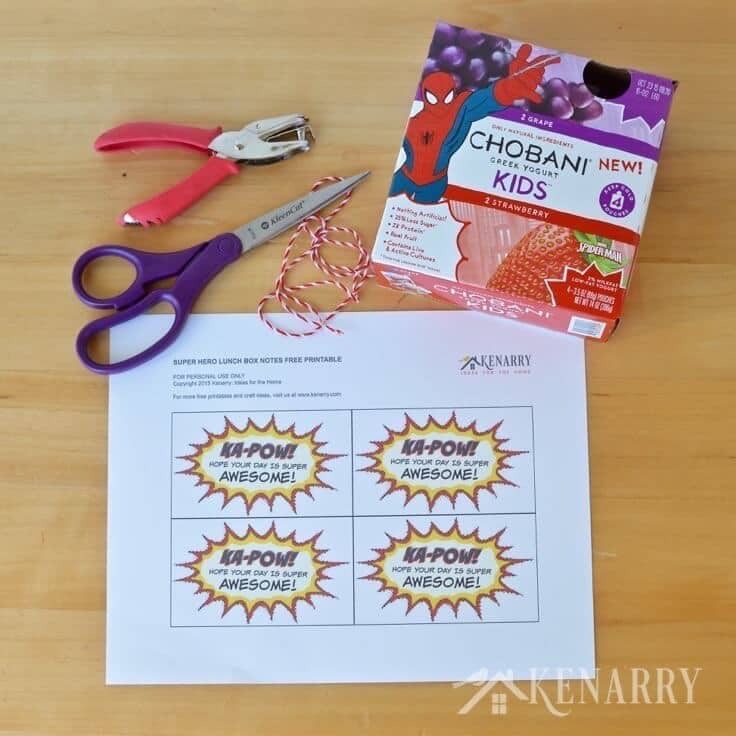 Cut and punch the Superhero Lunch Box Notes. Next, I used a simple hole punch in the corner so I could easily tie the Superhero Lunch Box Notes onto the Chobani Kids® Greek Yogurt Pouches. 3. 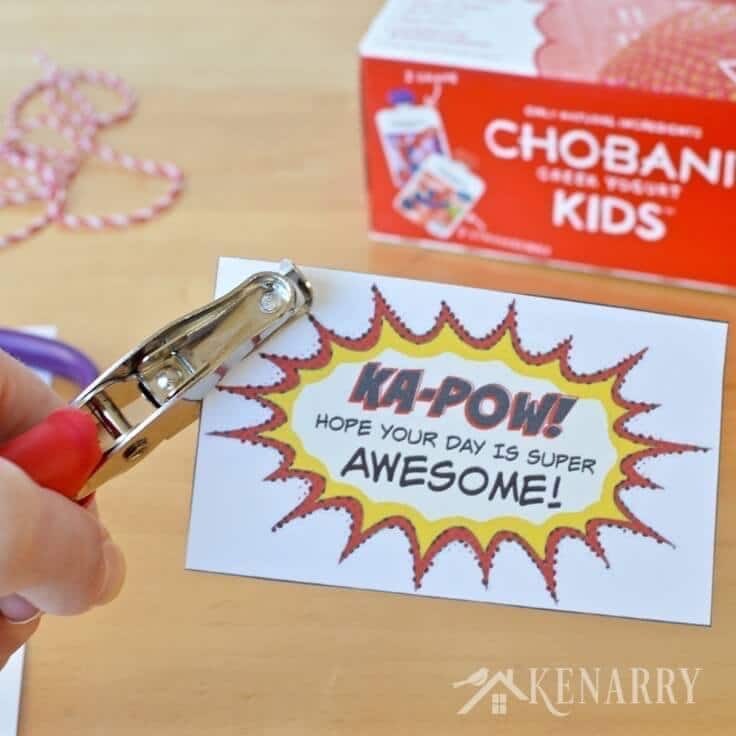 Tie the Superhero Lunch Box Notes on the Chobani Kids® Greek Yogurt Pouches. 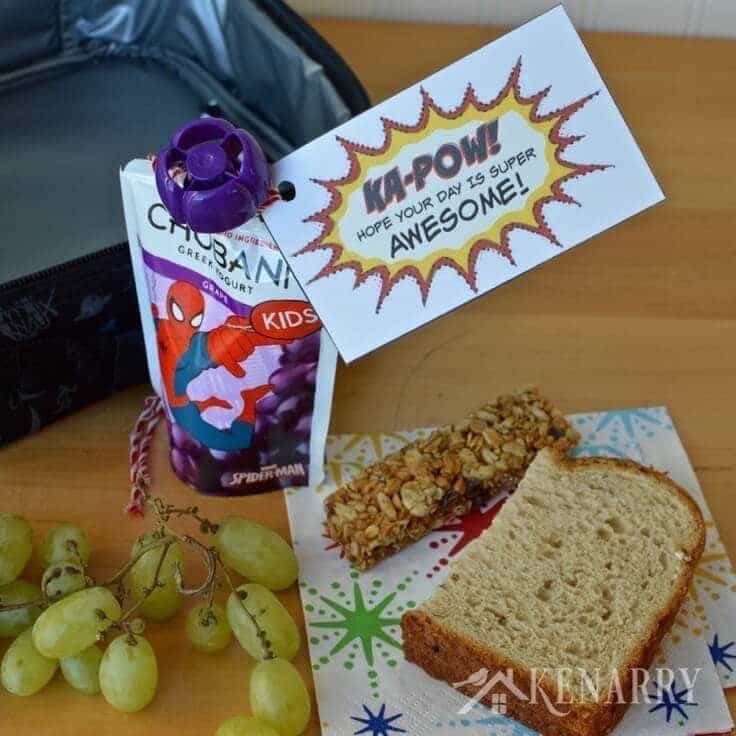 To keep your tag facing forward on the Superhero Lunch Box Notes, fold the ribbon or twine in half, put the loop through the hole in the tag, then pull the end through the loop. 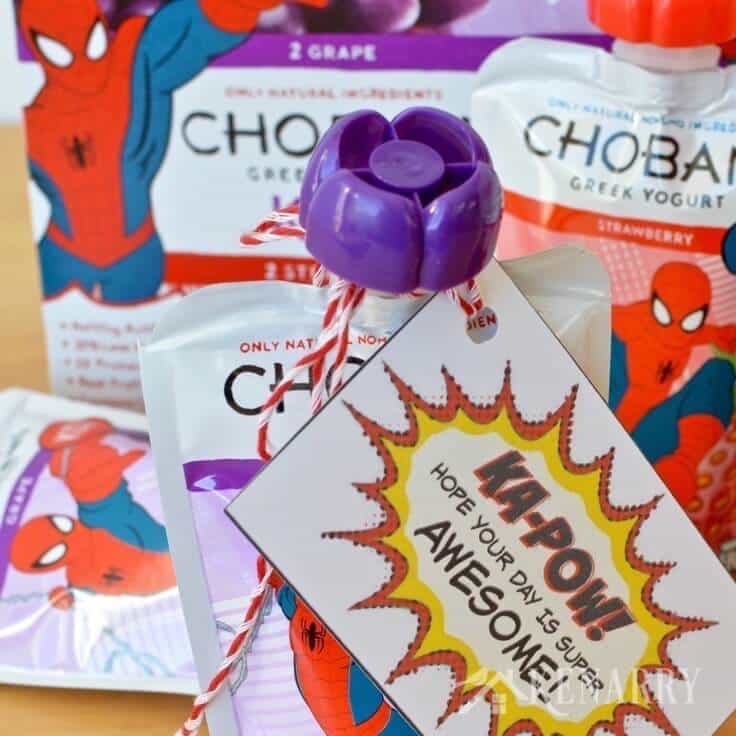 TIP: Once you wrap the Superhero Lunch Box Notes around the top of the Chobani Kids® Greek Yogurt Pouches make two loops with the twine, then tie the loops together into a bow. This will make it easier for your child to pull the Superhero Lunch Box Notes off the yogurt before he or she eats it. Now you have a colorful and fun treat to include in your child’s lunch at school! We paired the Chobani Kids® Greek Yogurt with a half a peanut butter and jelly sandwich, green grapes and a granola bar for a delicious and nutritious lunch. I only wish I could have been there to see the smile on my son’s face when he opened his lunch box! 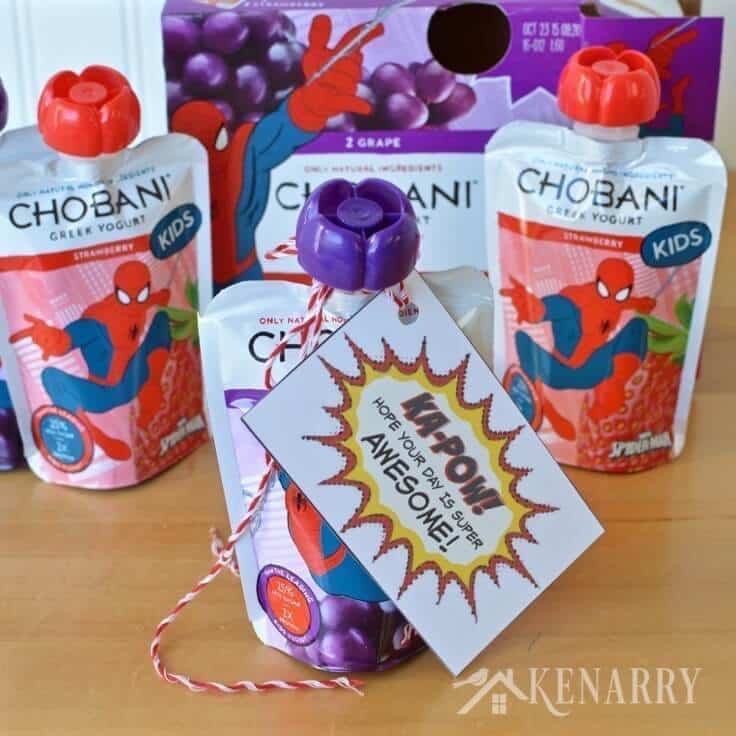 These Superhero Lunch Box Notes with Chobani Kids® Greek Yogurt would also work great as favors or treats at a child’s birthday party. You could even use this free printable as valentines for your child’s classmates when Valentine’s Day rolls around again next winter. In case you’re not familiar, Chobani also makes Chobani Tots® Greek Yogurt Pouches designed for babies beginning at six months. The Chobani Tots® Greek Yogurt Pouches are made with whole milk and provide 12mg of omega-3 DHA. 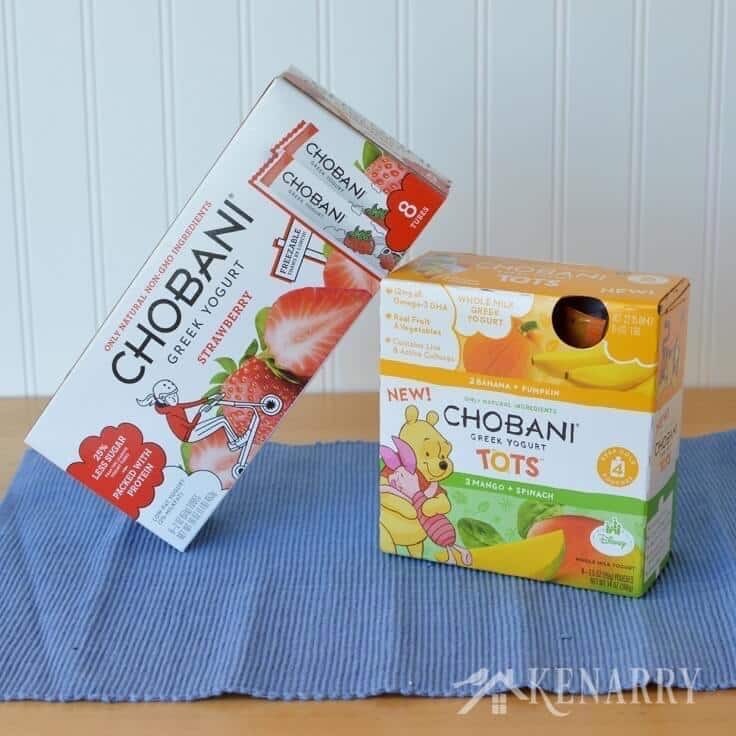 My two and a half year old son loved how they have Winnie the Pooh on the Chobani Tots® Pouches. You can also buy Chobani Kids® Tubes which have 25% less sugar than the leading yogurt tubes. Each 2-ounce tube provides 5g of protein, compared to 2g for other kids yogurt. They come in Strawberry, Banana, Mixed Berry, and Watermelon. My five year old can’t open the tubes on his own yet, but I love how you can freeze them to enjoy as an after school treat or bedtime snack. Frozen Chobani Kids® Tubes would also be great in lunches for older kids who can open the tubes themselves since they’d be thawed by lunch time. What’s the most creative love note you’ve included in your child’s lunch box for school? Please comment below and share. 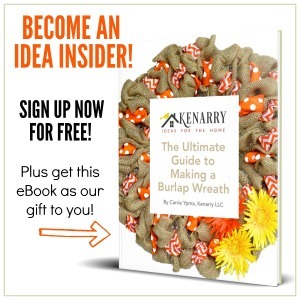 We’re always looking for new ideas! While you’re here, be sure to check out other free printable ideas on Kenarry like the Puzzle Party Favors or the Somebunny Loves You tags. Both of those could work for school lunch box notes too! Very cute. I bet kids would love to receive that little package in their lunch. Thanks, Hil! I hope other kids enjoy it as much as my son did. 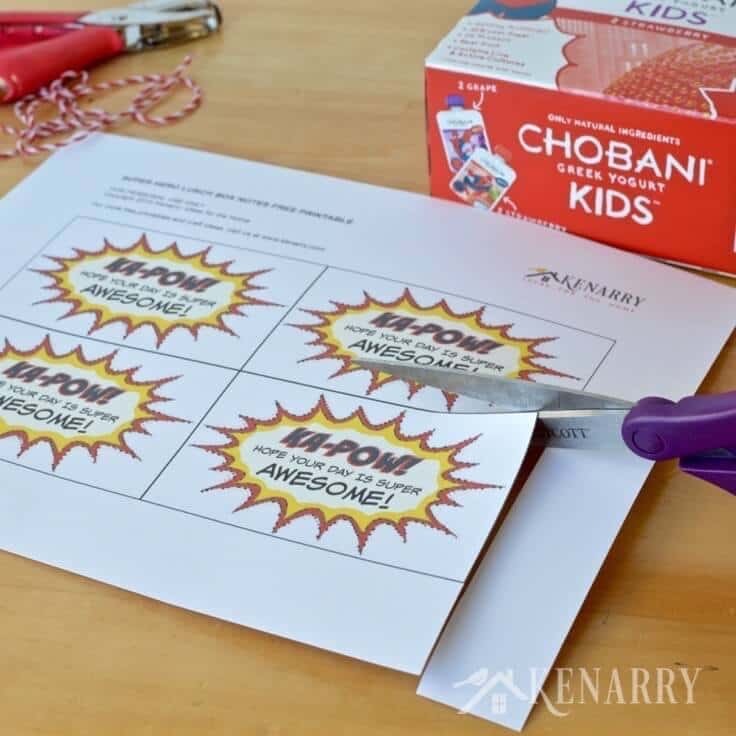 What a fun idea – I want those in my lunchbox! I didn’t even know chobani made pouches like this. While some yogurts are more expensive, I think it’s really important to buy a quality yogurt. Great post and thanks for sharing this roundup to Throwback Thursday! Aren’t those so fun? The Chobani pouches are way better than a traditional yogurt cup in a kindergarteners lunch if you ask me. It’s something they can actually open themselves. I was thrilled when Chobani came out with these. Thanks for coming by to see us, Mollie! These lunch box notes are so cute and would be a big hit in my comic-book-loving family. 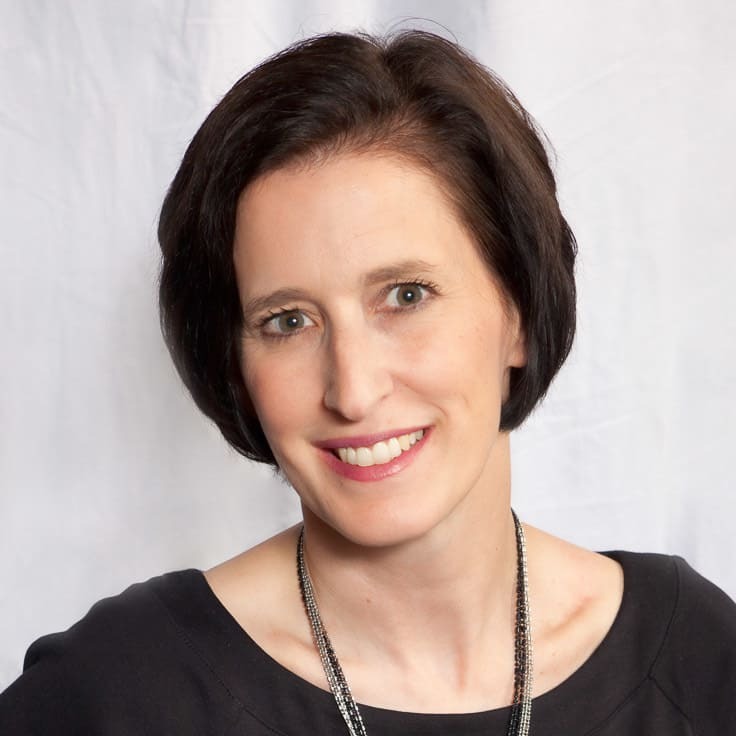 Congrats, you’re featured this week at the #ThisIsHowWeRoll Link Party on Organized 31. Oh wow! I am so honored you featured our Superhero Lunch Box Notes this week, Susan. Thank you! Thank you!